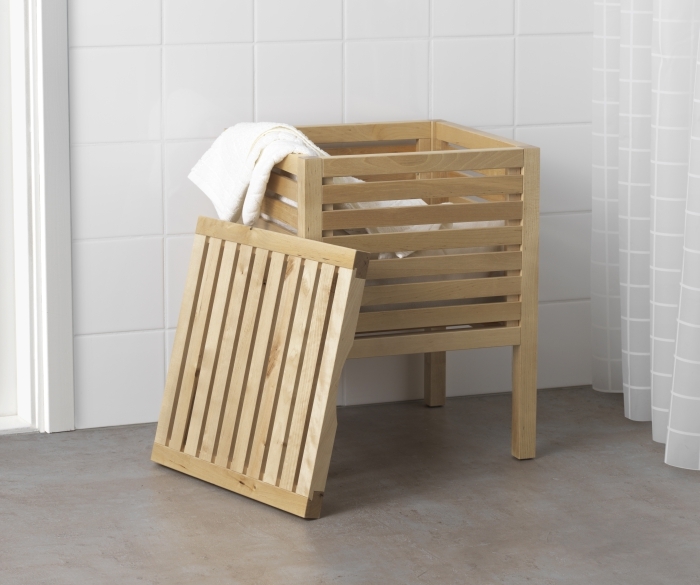 Boxes, Baskets and more: Under the sink, behind the door or inside the cabinets – Storage baskets and boxes are excellent options to create additional space almost anywhere. You can use them to stack towels, wash clothes, toiletries, books, magazines and even equipment like dryers and shavers. Baskets look neat, give an earthen rustic feel to the place and organize your clutter beautifully. Peek-a-boo behind the doors: The space behind the doors is one of the most under-utilised storage options. If you are struggling for space in a small bathroom, use wall shelves, toilet roll holders and hooks and knobs behind the door to hold stuff. A lot of affordable door-mounted storage solutions are available online and in offline stores too at wonderfully low prices this season. Hang on – till eternity: Hanging solutions are the best and the most economical way to add space to your bathroom without occupying the floor. Hanging rods, towel rails, towel hooks, knobs and 4 bar holders are some of the brilliant options that save space and allow you to organize things in a better way. If you don’t want to struggle with drill, hammer and nails then rods and hooks with suction cups can be a life saver for you. These are easy to mount and can be used anywhere as a wall mountable solution. 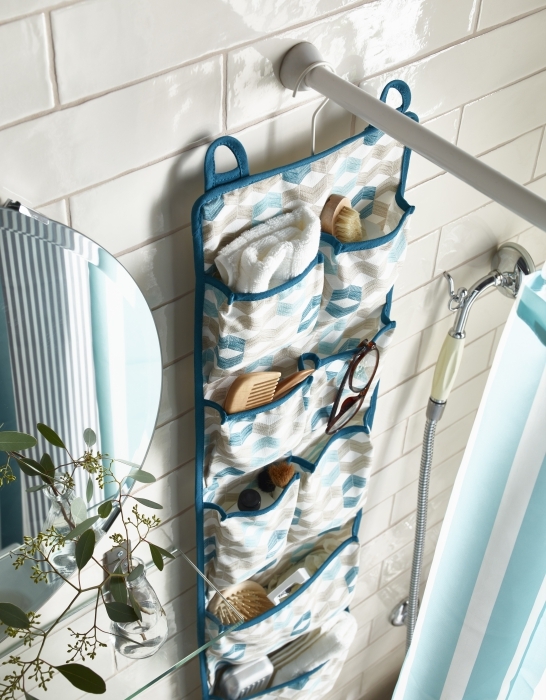 Ladders, Racks and Stacks: A towel ladder propped against one of the walls is a great way to keep you bathroom tidy and neat. The rungs of the ladder can be used to hang towels, clothes, bath robes and other knick knacks. Similarly, corner racks and shelves can be utilized to store and stack tissues, towels, kids clothing, accessories and toiletries. Dividers and Trays: Drawer dividers, storage compartments with lid and sliding trays are the best and most economical bet to store bath accessories and toiletries. Not only they look neat and organized but are extremely affordable, accessible and easy to use. Since the festive season is already here, grab some good low priced offers online or at brick and mortar furnishing stores around you. Keep an eye on the shelves – this is the best time to snap up a bargain, load your cart smartly and organize your home in the most brilliant way! !